Has a seemingly pointless architectural landmark found its purpose? 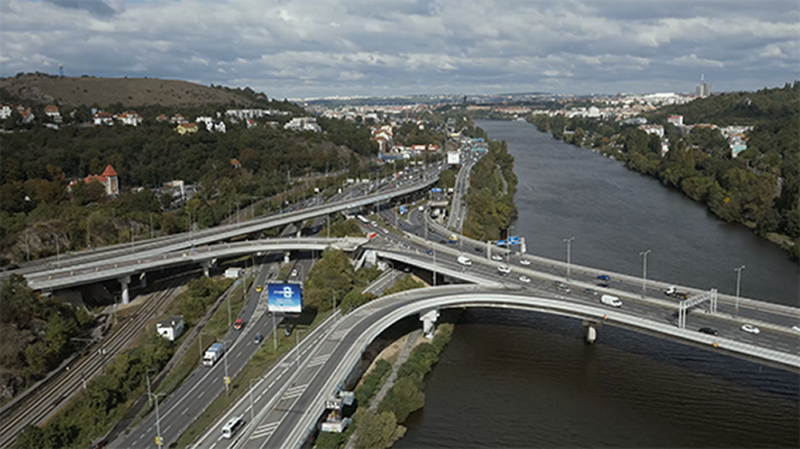 Martin Dražil, a Czech flatland rider, has conquered the Prague sculpture known as the “hippo’s bathtub” or the “elephant feeder”. Daring acrobats are known to display their tricks in various public spaces – even at untraditional and bizarre venues. Martin Dražil, one of the most popular Czech BMX riders, has his own special motivation: “The whole thing is about my liking big challenges and striving to differentiate myself. I look for unusual places to make my photos and videos, so that the result will be something exceptional and will astonish people!” That is why he was inspired by an unusual sculpture situated near Prague’s architectural landmark Barrandov Bridge for his newest stunt video, entitled “Let your spirit flow”. I look for unusual places to make my photos and videos, so that the result will be something exceptional and will astonish people! This place is interesting just from the mere fact that only a very few people have been up here at all – and really very few of them rode a bike! A high-spirited individual, Martin perfectly exemplifies the sense of restless body and soul. Apart from many collaborative and showcase events, he always finds time to do some things just for the heck of it and to bring his fans something different. 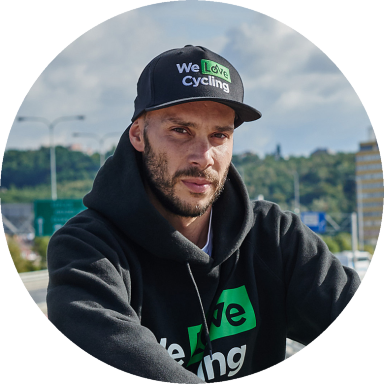 For his latest video, Martin teamed up with ŠKODA AUTO and its We Love Cycling platform. The result is drone footage drenched in high exuberance and pure enjoyment. And that was the main intention – to experience fun and joy, to get things moving. Although the final result seems very natural, it was not easy for Martin at all. Performing his trick several metres above the ground, he had to focus on his balance and concentrate intensively. Luckily, he has no fear of heights. Martin says the adrenaline rush and incredible view definitely made it worthwhile. 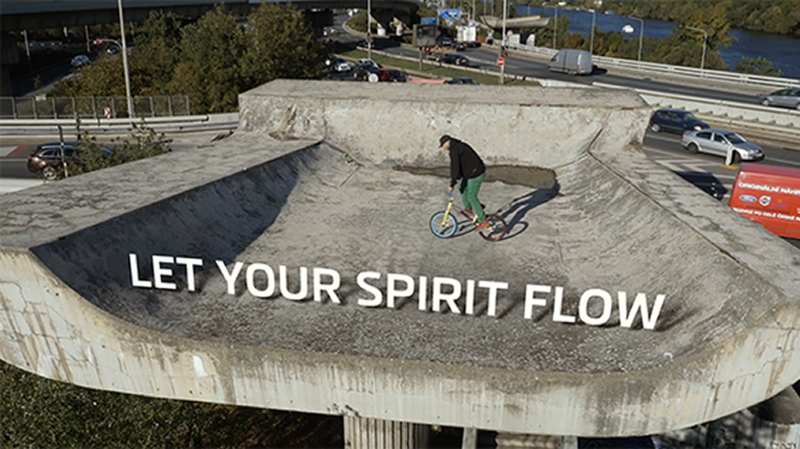 Flatland is a special BMX discipline that uses no obstacles or ramps and specializes in mastering tricks involving only the bike while riding on a flat, smooth surface. That’s pretty much what Martin did during the whole performance, but he chose a very unusual place to display his skills. This specific concrete sculpture took its inspiration from the so‑called Brussels Style, and, like other works of architecture from those times, it often is described also as Brutalist. Although in almost all cases it was impossible back then to omit ideological context in creating any work of art, the significance of the tub shape remains ambiguous (despite many purported explanations). That only makes its association with Martin and his stunt all the more relevant. The point, it seems, is that there need be no point – not every exploit has to have a clear function or reason. Sometimes, it is best simply to have fun and enjoy oneself. Martin became interested in flatland about 15 years ago while watching some kids doing tricks in an open space close to where he used to work. It was so different from anything he had ever seen, and he was totally shocked about his realization that this was the coolest thing he had ever seen. It was truly love at first sight. Martin bought his first bike as quickly as could save up enough money. He very soon recognized that it would be necessary to practice almost every day if he was to become an excellent professional competitor. 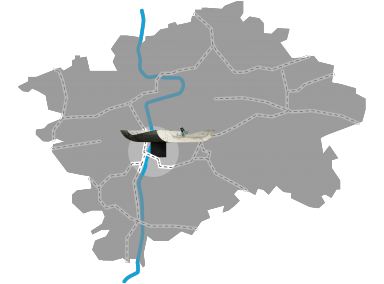 During his “flatland career”, Martin has taken part in more than 100 competitions in many European countries. He considers winning 2nd place in the Czech and Slovak National Championship to be one of his greatest achievements. Martin is extremely proud of his 1st place in the Nokia FISE competition. For Martin, flatland is more than just a sport. It is first and foremost a way of life. 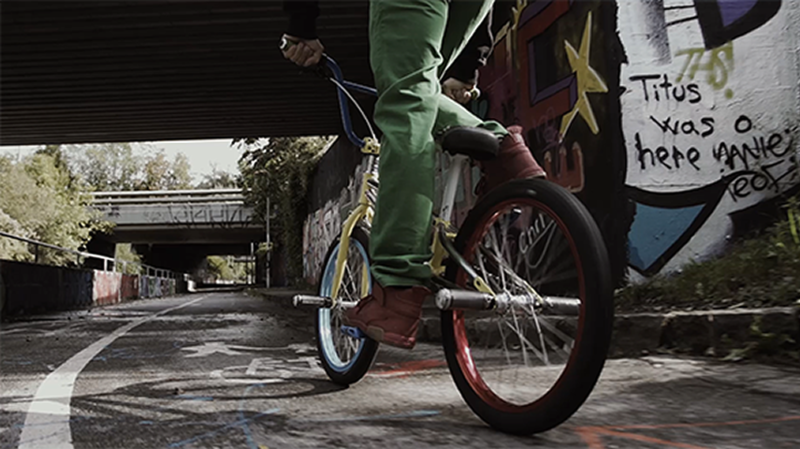 Thanks to freestyle BMX, Martin has had the opportunity to travel to many foreign countries. Still, his fans can see him mostly in Prague training on the piazzetta near the Czech National Theatre. Martin believes he will be able to continue in his favourite sport at least until he will be in his late-forties.